Nelsons Hypercal tincture is an ideal first aid solution for cuts and grazes. A topical herbal remedy traditionally used in the symptomatic treatment of small cuts and abrasions. 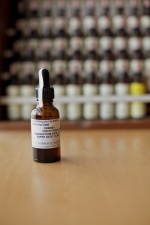 This tincture can also be diluted and used as a mouth wash or gargle. Do not swallow the liquid. Dropper bottle for easy dilution in water. This ointment contains the tincture of Calendula which aids healing. Use it on sore areas; inflammed skin; boils; nappy rash - anywhere the skin needs to be soothed. Applied in an ointment (rather than cream) this has perhaps more "staying power" on the skin. Also available - 50g pot of the Calendula Ointment for the same price - £14. Please specify when ordering whether you prefer a pot or tube.